THE Special Investigation Task Group (SITG) formed by the police to solve the murder of 16-year-old Christine Lee Silawan has obtained a lead that may point them to the cohorts of John (not his real name), the 17-year-old prime suspect. According to investigators, three to five persons were involved in Silawan’s gruesome killing last March 10. 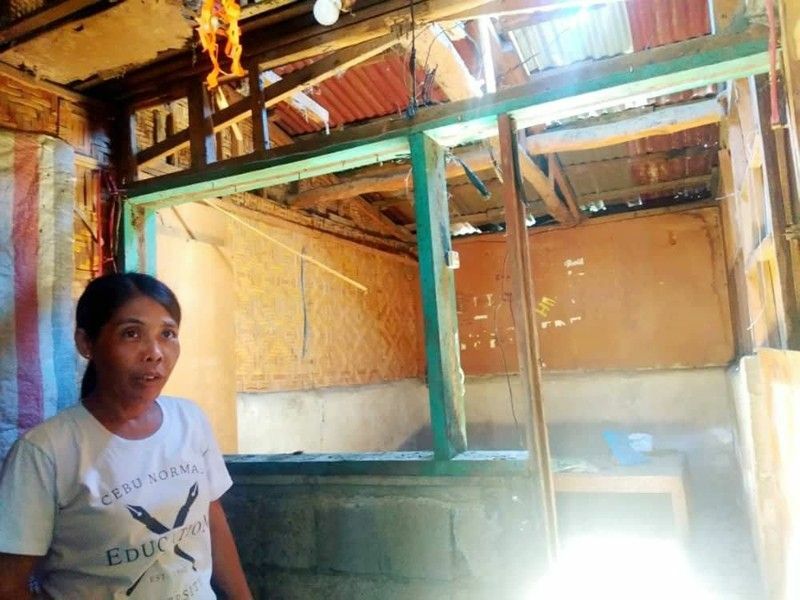 Police Regional Office (PRO) 7 Director Debold Sinas echoed the sentiment, saying the crime could not have been committed by only two persons. The National Bureau of Investigation (NBI) 7 and PRO 7 continue to look for the other culprits. One of John’s alleged companions has been identified, but authorities won’t divulge his name because they are still gathering evidence against him. Sinas said the SITG would not disband until it solved the case. The police official said the Lapu-Lapu City Prosecutor’s Office ordered them to locate the exact place where the girl was murdered. The prosecutors also tasked investigators to find the knife used to stab the girl 30 times and skin her face. Sinas said they received the results of the examination on Silawan’s private parts, but he would not divulge if she had been raped. He said they would present these to the prosecutor’s office. Last Monday, March 25, Vincent Isles, John’s counsel, filed a motion before the Special Cybercrime Court of the Regional Trial Court (RTC) Branch 11 to invalidate the search warrant issued against his client. Isles said the NBI 7 erred when it searched his client’s house using a Warrant to Search, Seize and Examine Computer Data (WSSECD) and not a search warrant. “Even granting that the WSSECD was validly issued, and the movant minor was the legitimate target, the non-computer items must be returned to the movant. They have been seized outside the parameters of the warrant,” Isles said in his motion. Isles said the seized underwear, pair of shoes, shirts, a cap and five sheets of paper with unidentified stains were not legally subject to the WSSECD and should be considered inadmissible in court. According to the copy of the WSSECD provided to SunStar Cebu, the NBI 7 was only authorized to search, seize and examine “logs of text messages and calls and Facebook and Messenger accounts of the 17-year-old suspect, which are embedded in his computer, laptop, cellular phones” found in his bedroom and other parts of the house. He said the NBI 7 accused his client of committing murder by using information and communication technology (ICT), but there was no such thing. “In other words, murder is committed by killing a person with the killing characterized by one of the qualifying circumstances in Article 248 (Revised Penal Code). Killing a person cannot be committed by, through, or with the use of ICT, in the same manner that killing a person cannot be committed by, through, or with the use of radio technology,” Isles said. The RTC Branch 11 is set to hear Isles’ motion on Friday, March 29. Meanwhile, Lapu-Lapu City Prosecutor Ruso Zaragoza said they had yet to hear the motion filed by Isles last Monday concerning the security camera footage used by the NBI 7 against John. In his motion, Isles is seeking the unedited copies of footage taken from several areas, including outside the Pajac Barangay Hall, among others, between 5 p.m. on March 10 and 7 a.m. the next day. Isles also asked for the unedited copy of the footage taken outside a house in Pacific Villa, which might have recorded Silawan with three men, who were seen by the witness before the girl was killed. Isles believed that particular footage could help pinpoint the real culprits behind Silawan’s murder and clear his client. The prosecutor’s office gave John’s camp 10 days to submit his counter-affidavit. Zaragosa added that the NBI 7 did not file a motion for reconsideration regarding John’s release last Saturday, March 23. In a related development, the Silawan family trooped to the cemetery in Cordova last Tuesday to celebrate what would have been Silawan’s 17th birthday. “I tried so hard to raise my four children well. Then, one of them gets killed for no apparent reason. Why did she have to die so brutally?” said Silawan’s mother, Lourdes Pardillo, in Cebuano. Had she been alive, Silawan would have wanted ice cream and fried chicken for her birthday, her mother said. Pardillo said her only wish was for the authorities to give justice for her daughter’s death. After visiting her daughter’s grave, Pardillo and other members of her family went to church to offer a mass.